These are some of our recent website projects for various clients. Our website design services are perfect for clients who need a little something extra that isn’t in today’s Content Management Systems or Site Builder tools. 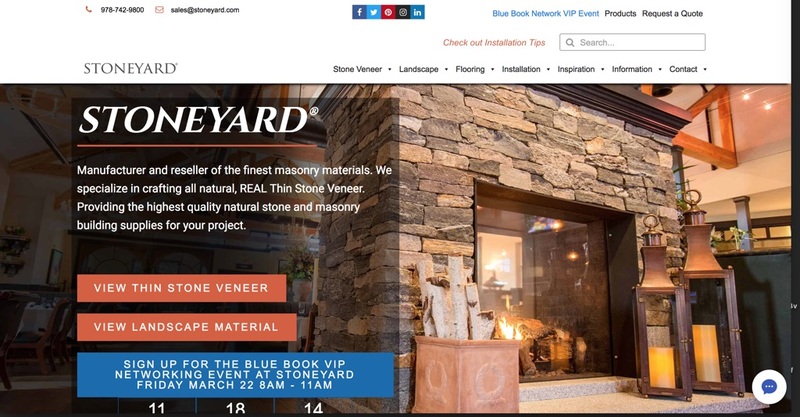 Stoneyard was using an older Content Management System that didn’t work well on mobile devices and a separate ecommerce plaform for selling products online. They needed a unified, easier to manage, more mobile-friendly solution to promote their products, educate their partners and consumers, help customers find installers and inspire customers with featured projects and a searchable photo gallery. We used WordPress, Toolset, Elementor pro and Woocommerce with some customization to meet their needs. 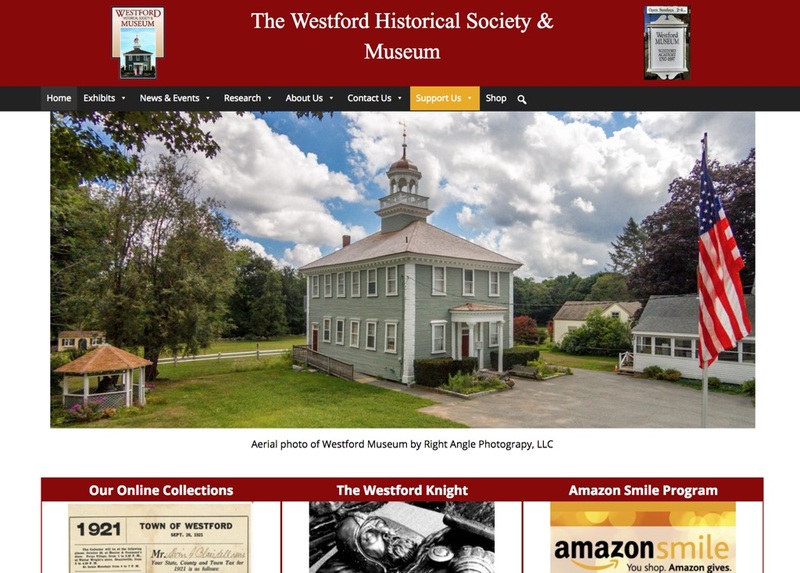 The Westford Historical Society and Museum needed a new website that was mobile friendly, easier to update than their Dreamweaver-built HMTL website, and that enabled event management, online giving and an online shop. We were able to meet their needs with WordPress, Events Manager, GiveWP and WooCommerce. We also used the WP-Types Toolset components to build custom content types for managing and presenting historical documents with a good user experience and improved search rankings due to moving from scanned PDF files to searchable web pages. 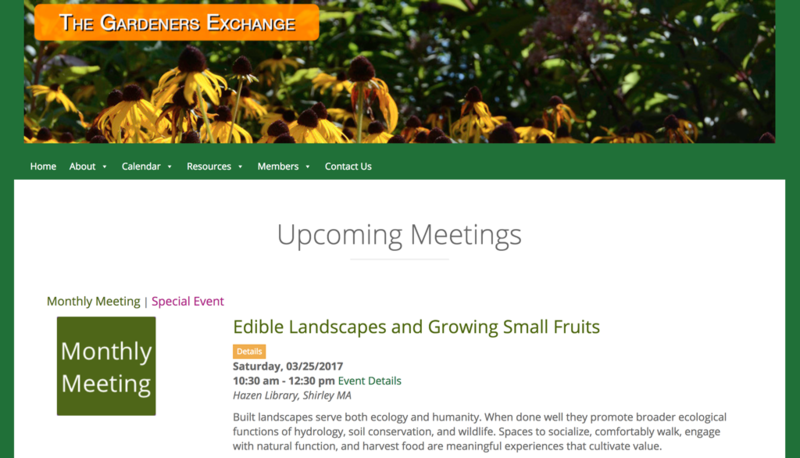 The Gardeners Exchange of Central Massachusetts needed a basic website to share club news, post club events and events of interest to their members and to share resources such as presentations from past meetings. They also wanted to offer simple forums for member-to-member questions and answers and offers and requests. Many add-on forum tools are available for WordPress but most were too complex for the needs and the members who would rather be out in the garden than be indoors messing with computers. 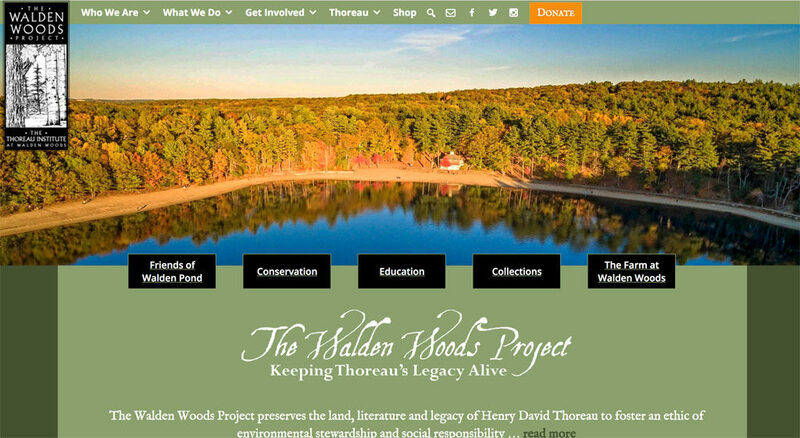 In some ways, the Walden Woods Project is like many of our Trail Websites subsidiary’s clients. They preserve and protect conservation land around the Walden Pond and Thoreau Institute area in Concord and Lincoln, MA. However, Walden Woods Project (WWP) also care for, manage and present the Collected Works of Henry David Thoreau. We worked with WWP to develop a collection management capability and various views of the collected works for their WordPress based website. 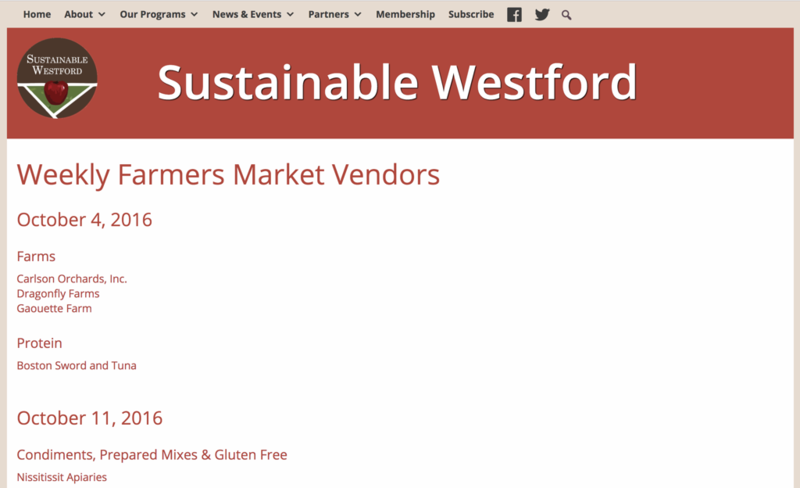 Sustainable Westford operates the Westford Farmers Market and several other community sustaining programs in Westford, Massachusetts. Their website needs to promote their programs and to recruit volunteers and vendors for the market. Interns play a major role in managing website content so a safe, easy way to enter vendors and their schedules was needed. This content feeds a view of vendors by week and vendors by category with links back to the vendors’ profiles. Custom post types and views are used to simplify content creation, management and presentation. Littleton Education Fund’s existing hosting contract was expiring and the price was going up substantially. They also wanted to update their site’s look, become mobile friendly and begin accepting online donations. We modernized their site, moved them to a Content Management System to ease content creation and management and implemented GiveWP for elegant donation forms. 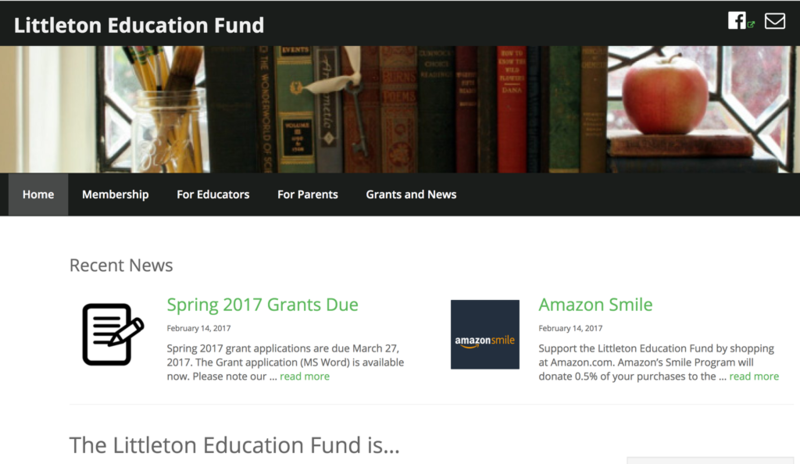 Custom posts are used to document each grant award so that they can be featured in several different views across the site. 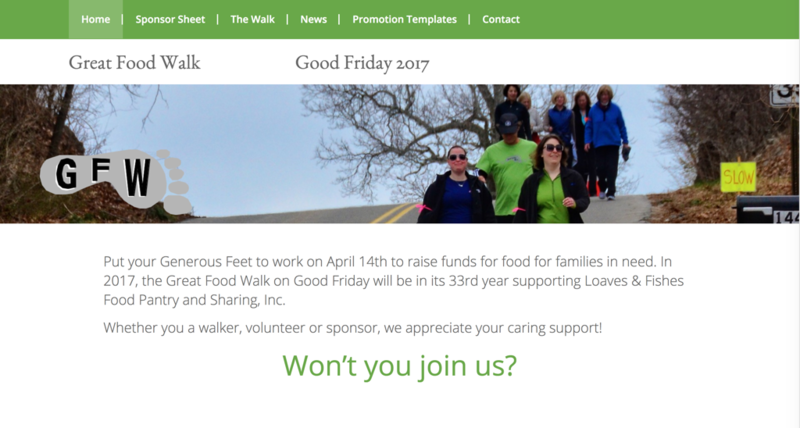 Nashoba GFW operates the Great Food Walk to raise funds specifically for Loaves & Fishes Food Pantry and Sharing, Inc., They needed a website to act as the landing page for their promotional efforts and to host sponsor forms, maps, preparation tips and to accept online donations. Custom layouts were used to present promotional templates for walkers’ use and GiveWP was customized to collect walker / team name information with each donation. Loaves & Fishes Food Pantry, Inc. needed self-service capabilities for potential volunteers to sign up for volunteer information sessions and for active volunteers to schedule themselves for open pantry sessions. Events Manager with minor customizations was able to provide the event management and registration portion of the solution. Additional customization was provided to offer secure self-service account creation and validation for volunteers. 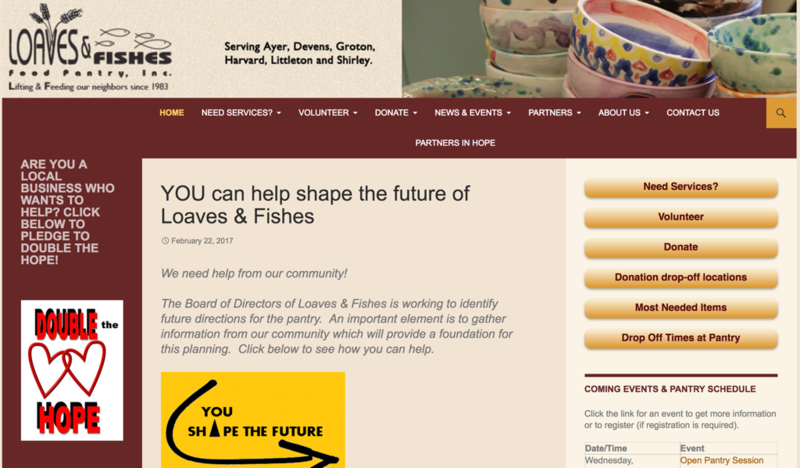 Loaves & Fishes uses GiveWP for special fund raising campaigns. Deborah Henson-Conant (“DHC”) is a Grammy-Nominated one-woman orchestra. With electric harp, voice and a looper pedal that she layers sounds in real time, then weaves solo lines and vocals above it. She’s also a composer and she coaches and mentors other musicians. DHC needed a website to promote her performing, composing and coaching to audiences, performance venues, booking agents, press and potential students. To make it easier to present her decades of works we built plugins that allow her to present content by category as posts, excerpts or tiled images as well as audio and video clips. Her site is in-progress at time of writing with plans to move her performance schedule to Events Manager and replace several related hand-built html pages with WordPress pages. 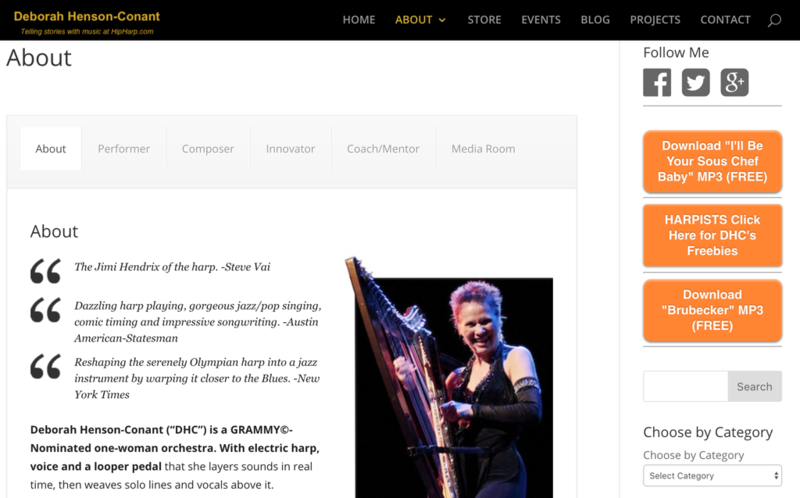 We also helped DHC with her online Academy for harpists, featured below. 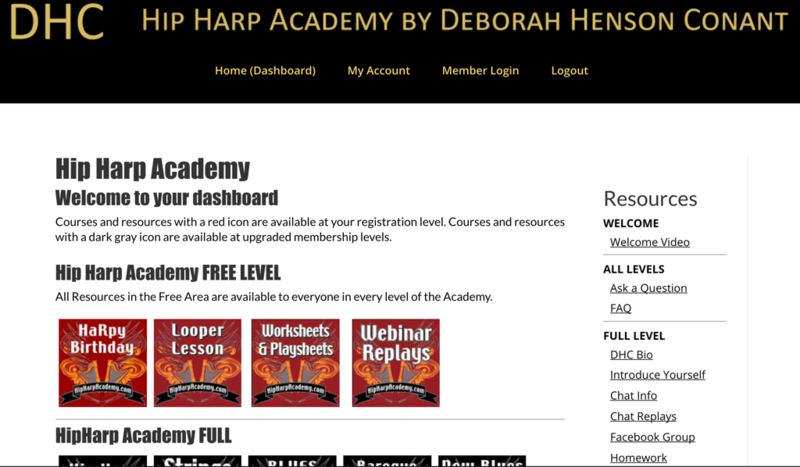 Working with Deborah Henson-Conant on her HipHarp Academy online school for harpists led to the development of our Page Progress Tracker for WordPress. Page Progress Tracker provides automatic tables of contents, progress bars, previous / next buttons and progress indicators based on students’ self-assessed choice of In-Progress, Completed or Completed and Bookmarked status. Using WordPress’ parent / child relationships, pages roll up to modules and modules roll up to courses. We also built some custom views to display courses by level in conjunction with Ambitionally’s Access Ally to integrate purchasing and access control with DHC’s CRM and eCommerce system. What began as a volunteer effort to update Littleton Conservation Trust’s website turned into a line of business. Their site was the catalyst for our Trail Websites subsidiary. 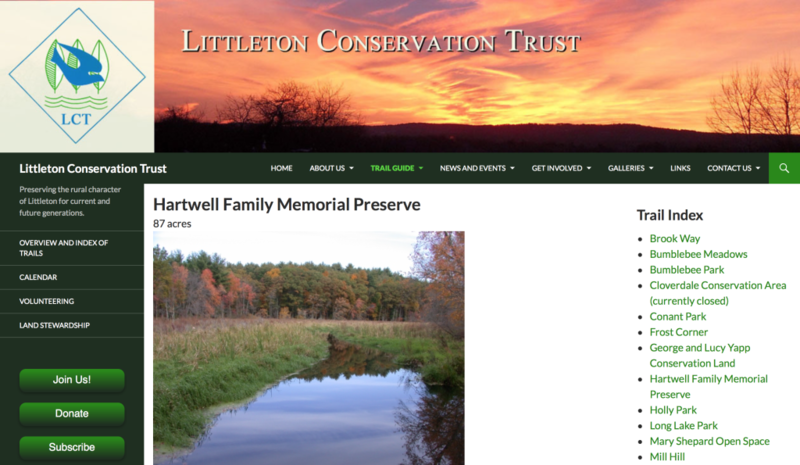 The design is WordPress based with a custom database and custom page templates to manage the data about each conservation property in a database so that an overview table, individual trail pages and a complete PDF “Guide to Conservation Lands in Littleton, Massachusetts” can be produced from the single source of data and folders of photos and map images. Data entry and maintenance went from 3 or 4 edits per change to just 1. The site design has been well received in the community and can easily be adapted to the needs of other conservation or land trust organizations. A recent two night, 5 hour course in Audio for Video Basics for a Community Access Television station has been turned into an 87 minute online video course. Telling the story through the customer’s words is fairly common with our clients. NxStage Medical, the leading manufacturer of home hemodialysis solutions for patients with kidney failure, needed to influence clinics, hospitals and doctors to increase the use of the home modality. This audience is all too familiar with the patient’s story. They needed to hear from people like themselves about how to train patients to operate the home treatment and how to keep patients on the treatment. We filmed professionals sharing best practices and created marketing videos for the NxStage web site. Visit NxStage Medical’s video podcast page to see several home hemodialysis videos we produced for them.